Welcome to a fresh new day here at Daily Billboard and here are some spectacular ad creatives to help kick start the week. 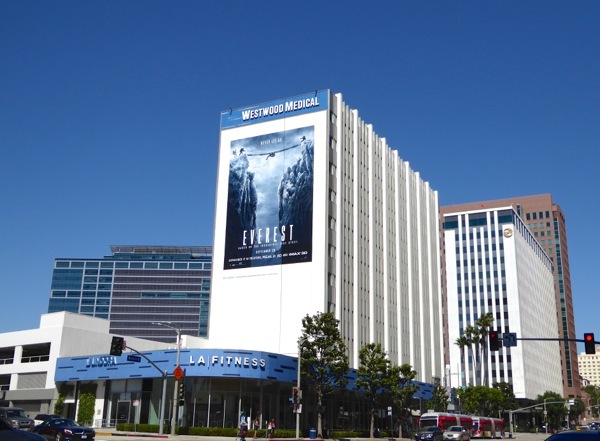 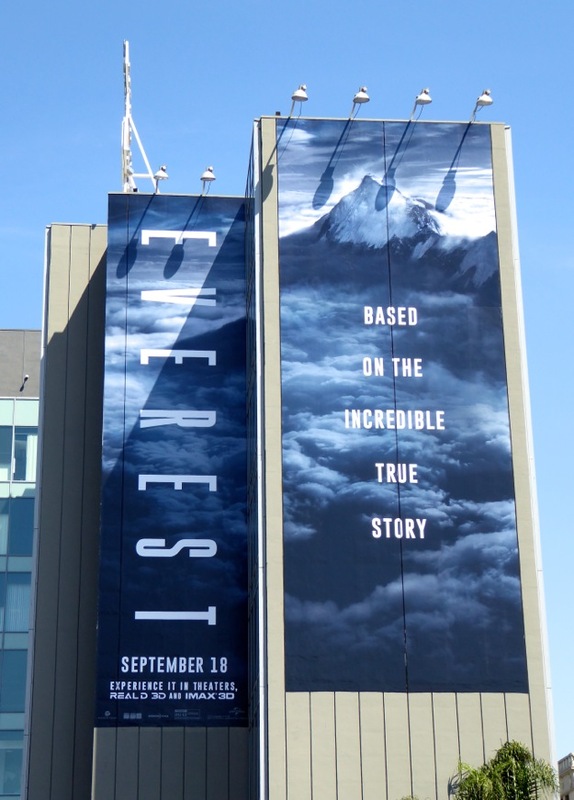 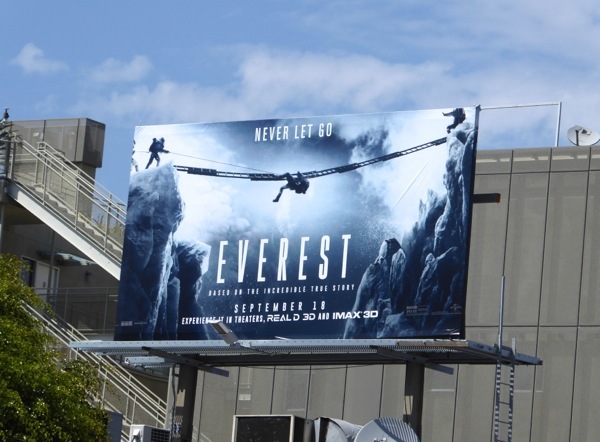 Regardless of whether the film itself lives up to the outdoor advertising, Universal Studios are certainly making an epic effort to get you to notice their new movie Everest. 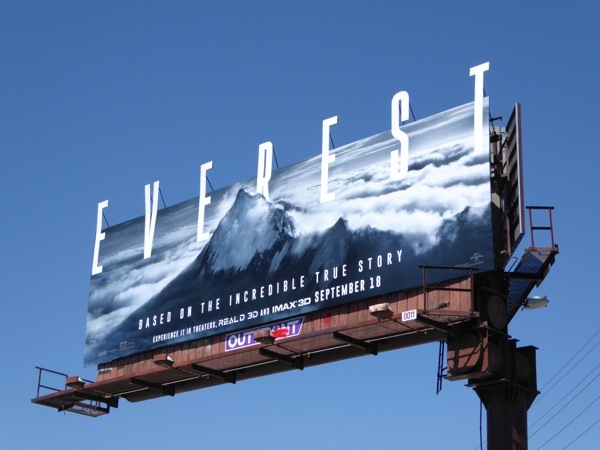 This survival movie is inspired by true events and follows 1996 climbing expeditions on the infamous Mount Everest struck by a devastating snow storm, and boasts an all-star cast including Jake Gyllenhaal (no stranger to wintery conditions after enduring 2004's The Day After Tomorrow), Josh Brolin, Sam Worthington, Jason Clarke, Keira Knightley and Robin Wright. 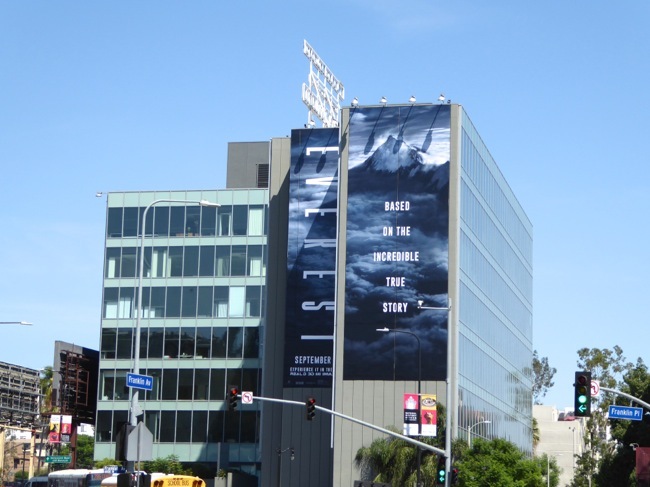 The ad creative with the two cliff faces and the implied peril of navigating between them brings to mind these Maze Runner: The Scorch Trails billboards also filling the skies of L.A. at the moment, which kind of lessens their impact. 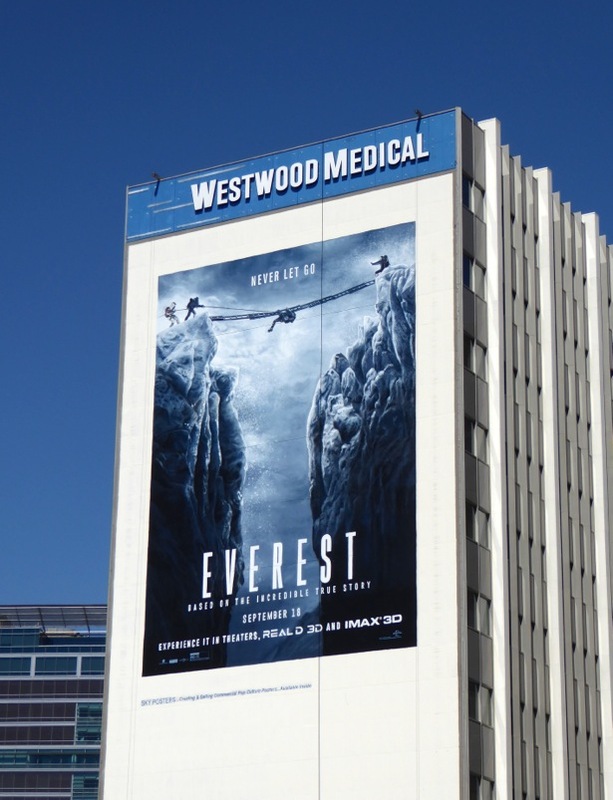 Fortunately Everest has a whole variety of different ad formats, with special extensions, special lettering embellishments, giant-sized wallscapes and multiple creatives to help capture your imagination. 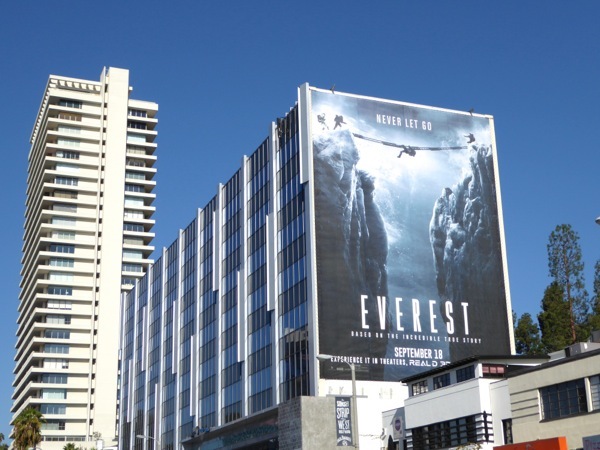 The super-sized billboards at the major Hollywood intersection of Franklin and Highland Avenues were first snapped on August 28 and the giant wallscape along Wilshire Boulevard was captured the next day. 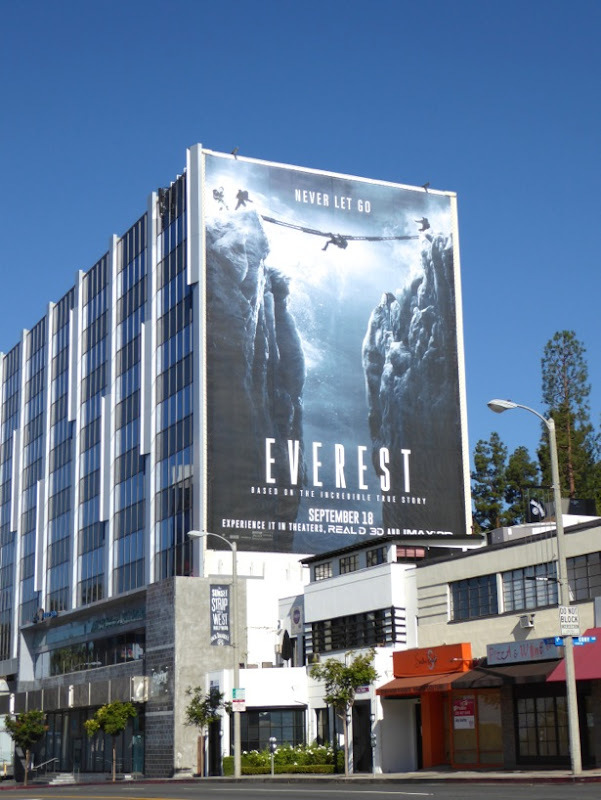 The other giant billboard along the Sunset Strip in West Hollywood and other eye-catching special extension and smaller ads were all photographed on September 6, 2015 along Pico Boulevard, Beverly Boulevard and Fairfax Avenue. 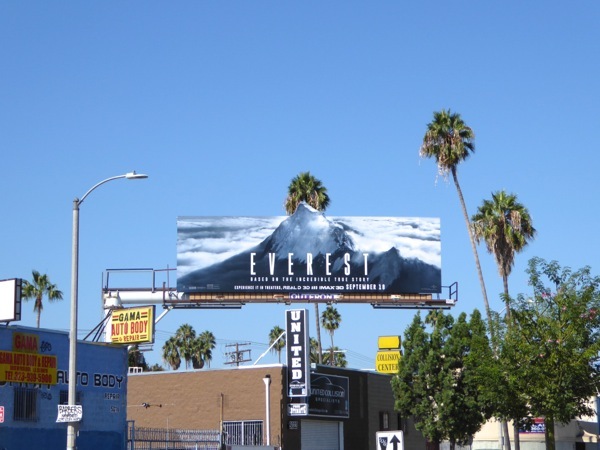 These frosty creatives certainly stand out even more in L.A. at the moment with temperatures soaring to triple digit extremes. 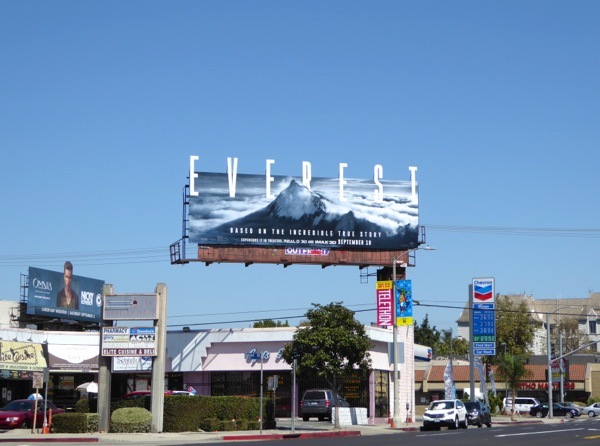 For more wintery-themed billboards to help you keep cool, be sure to also check out this fantastic 3D Coors Light mountain climber billboard and these Frozen movie billboards. 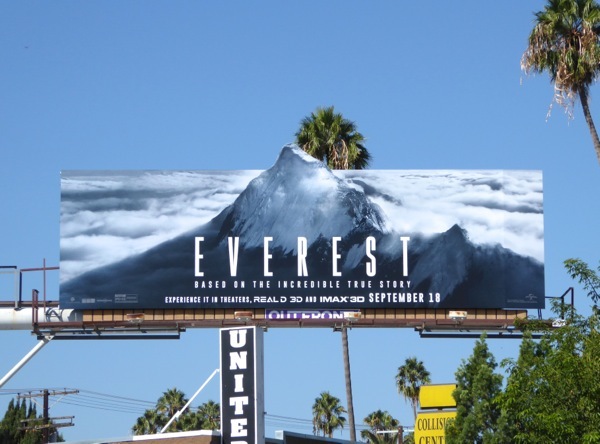 Plus for a disaster movie featuring another infamous mountain, Mount Vesuvius, take a look at these volcanic Pompeii movie billboards. 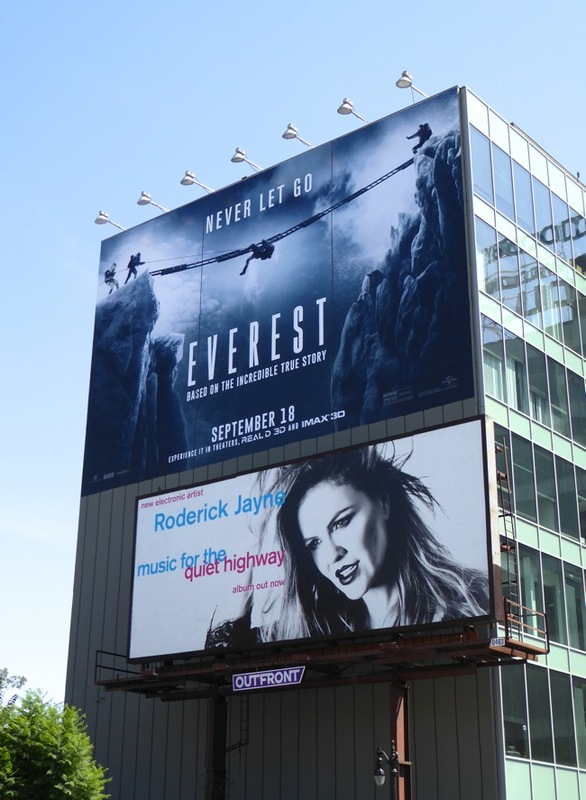 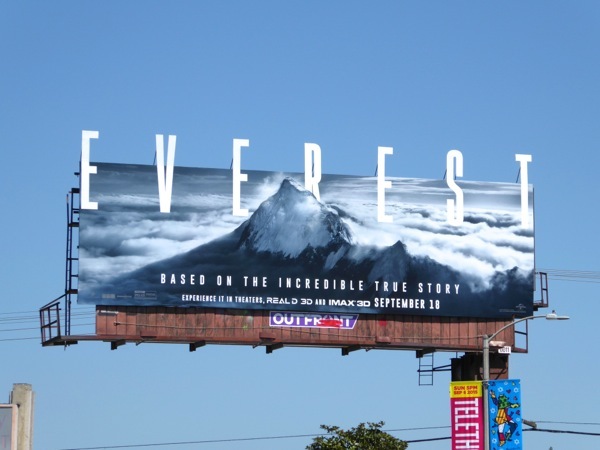 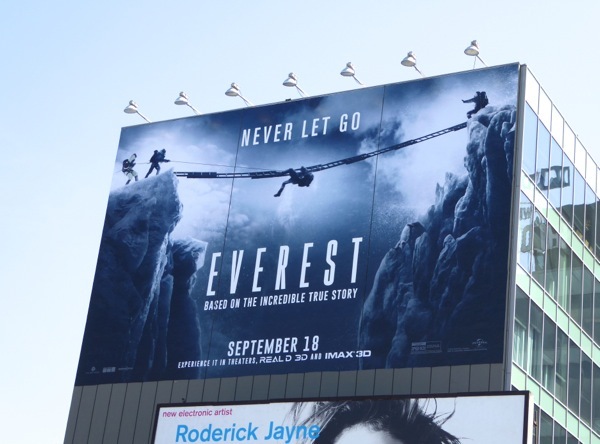 Has this array of outdoor advertising convinced you to make the expedition to the cinema this September to watch Everest, or will you be staying home at base camp.